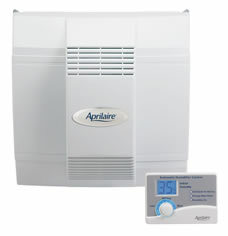 A whole-home humidifier from All State, will deliver the perfect amount of moisture to your air making you feel more comfortable at lower thermostat settings. It will help protect your family from dry noses, cracked and itchy skin, sore throats, allergy and asthma symptoms and annoying static shocks. 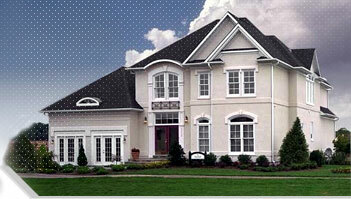 Turning your temperature up in the wintertime keeps you warm but will not increase your home’s humidity level. Daily activities such as showering and doing laundry typically won’t produce enough moisture to keep your home’s air from being too dry. A whole-home humidifier can be installed directly into new and existing central heating and cooling systems. Humidity will be introduced into your home’s air in the form of water vapor, which prevents minerals from entering the air in your home and potentially into your lungs. The resulting humidified air is distributed via your heating and cooling system ductwork throughout your home. 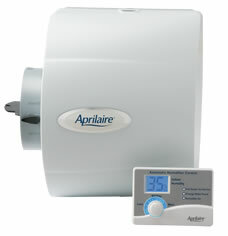 A whole-home humidifier will allow you to feel warmer at a lower temperature. You can save up to 4% on your heating bill for every degree you turn your thermostat down. 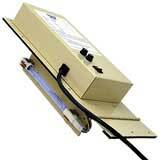 By using UV air purification lights we can remove, destroy or render harmless bio-aerosols and volatile organic compounds in the air we breathe. Filters are used mostly to remove inert particulate from the air stream. Unfortunately, this accounts for on average only 35% of our indoor air quality problem. Microscopic gases and bio-aerosols are the real danger and can only addressed by other means. 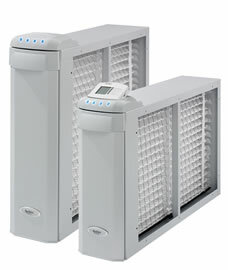 UV air purification is the single most important defense in reducing harmful contaminants within our homes and places of work, especially in the absence of any outside air exchange. Once pollutants are exposed to ultraviolet light and hydroxyl radicals, a photo-chemical reaction takes place. This reaction is referred to as photo-catalytic oxidation. This oxidation process combined with the sterilization properties of ultraviolet light, provide a very powerful tool in reducing volatile organic compounds and bio-aerosols. In fact, the oxidation power of hydroxyl radicals is second only to fluorine. With this process you can virtually eliminate organic impurities in the air. These units can fit into small spaces on existing systems, or added to any new system install. 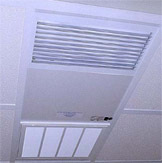 These systems are very cost effective ways to keep your air clean. An air purification filter systems can make the air in your home clean by removing particulates from the air. This can help anyone with allergies or asthma by simply breathing cleaner air. A whole-home filtration system from All State can help to rid your home of smoke, dust, pet dander, pollen, mold spores, dust mites, mold spores, even bacteria and viruses. 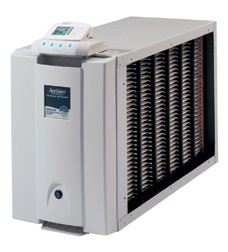 Our systems connect to your central heating and cooling system, so they our out of they way as well as out of sight. So whenever your system is running, you are removing particulates form every room in your home. The clean air is blown right through the ductwork reaching every corner of the house. Our units are compact and virtually maintenance free. Infrequent maintenance is required only every 1-2 years. Giving it a clear edge over any portable unit that requires constant care and filter changes. Call All State today for a FREE, no obligation, quote!